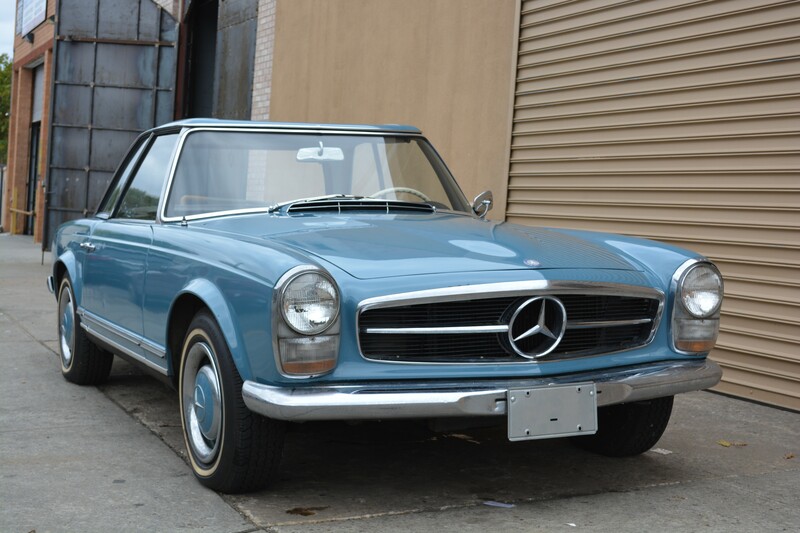 The Mercedes-Benz 230SL was introduced at the 1963 Geneva Motor Show. 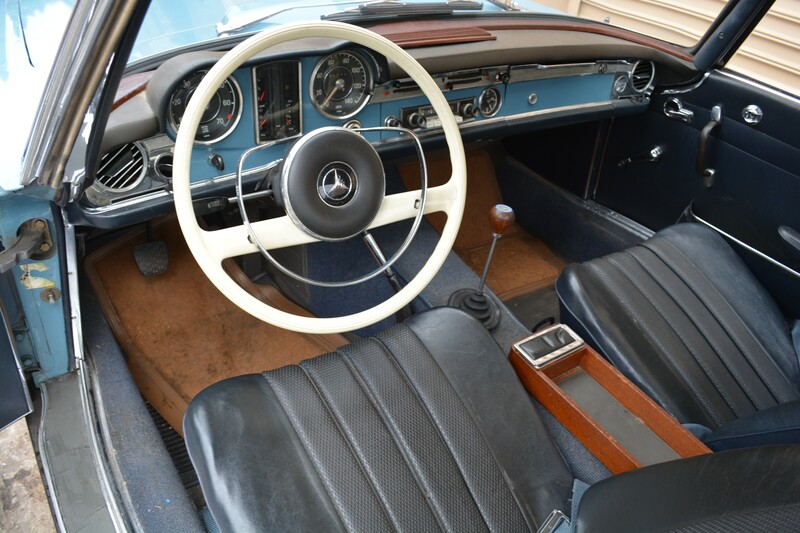 During the run of the 190SL and 300SL, Mercedes received a lot of complaints from customers that the 190SL was lacking in performance and the 300SL had too high of a price tag. 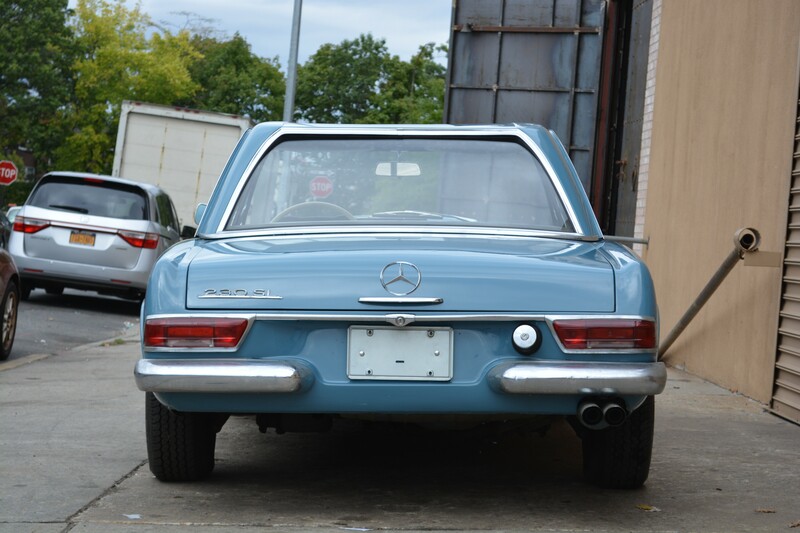 The 230SL was supposed to be the middle ground that would replce the two. It began production in 1963 and ran until 1971. It only came as a two door but you could have one in either soft or hardtop. Designed by Paul Bracq and Bela Barenyi, the hardtop model specifically had a beautiful subtle touch that made it concave in the middle. 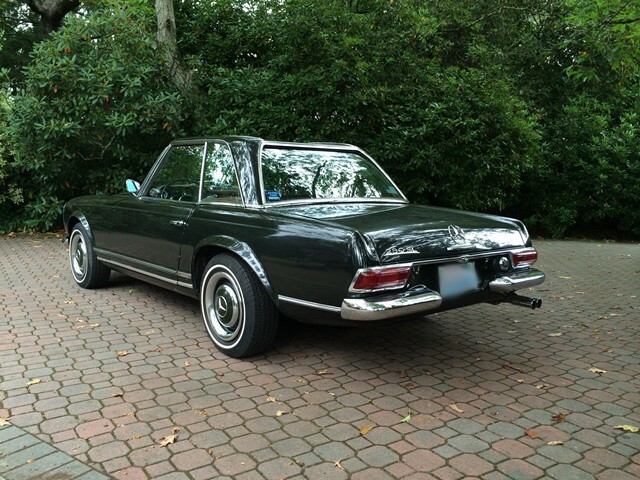 This concave roof would lovingly be called yhe "Pagoda" roof and was unique to the 230SL.